When you go to Greece, there is a very good chance that you will be in Athens at some point. All of the tours that AESU offers that include Greece, end in Athens. 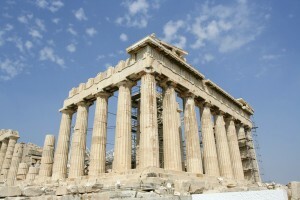 The Acropolis is a must-see attraction for all that pass through Athens. It sits on a hill overlooking the city and the Sardonic Sea. The majority of the buildings located on within the Acropolis were built in the 5th century BC. The Acropolis has been used as many things over the years from a mosque to gunpowder storage, this area has certainly seen its fair share of changes and people. The Parthenon is the most recognizable building located within the Acropolis area, perhaps the most recognizable structure in the entire country of Greece. 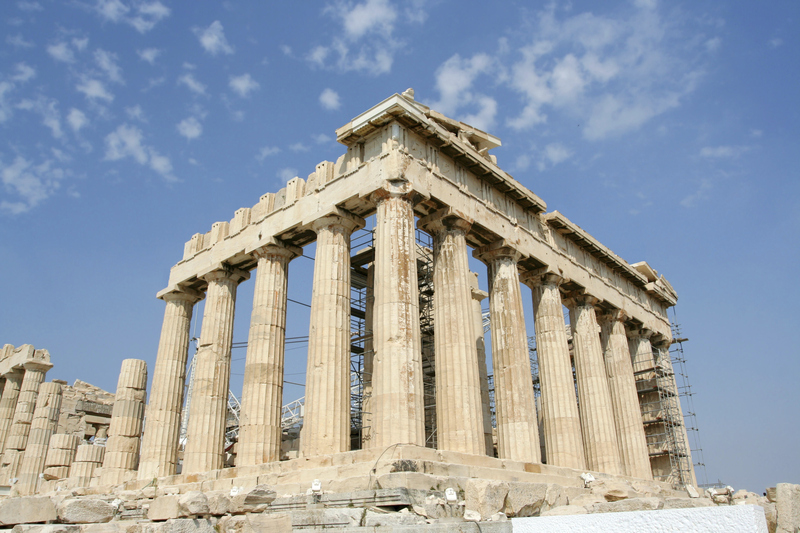 The Parthenon was created as a temple to Athena, it was completed in 438 BC. This engineering marvel only took 9 years to complete and was built by architects Kallikrates and Iktinos. While it is said to have been built to house a giant statue of Athena, its purpose has changed throughout its many years. It has been everything from storage to a Christian Church to an Islamic Mosque. Over the vast number of years that the Acropolis has been around, there have been many incidents that could have destroyed the beauty of this sacred place. From pillaging by Lord Elgin ambassador to the King of England to 1687 when the Turkish gunpowder stored there exploded when it was hit by a cannonball fired by the Venetian Army, it is a wonder how this amazing place isn’t in worse shape than it is. A restoration project, stared in 1975, in still ongoing today to repair the damage caused by restoration projects gone wrong, acts of war, and pollution. The project is almost complete. They have been reusing original materials from the structures they were working on as much as they could as well as using ancient techniques. The workers have also been trying to use restoration techniques that can be reversed if future experts come up with a better way. This entry was posted on Thursday, November 7th, 2013	at 12:54 pm	. You can follow any responses to this entry through the RSS 2.0	feed. Both comments and pings are currently closed.